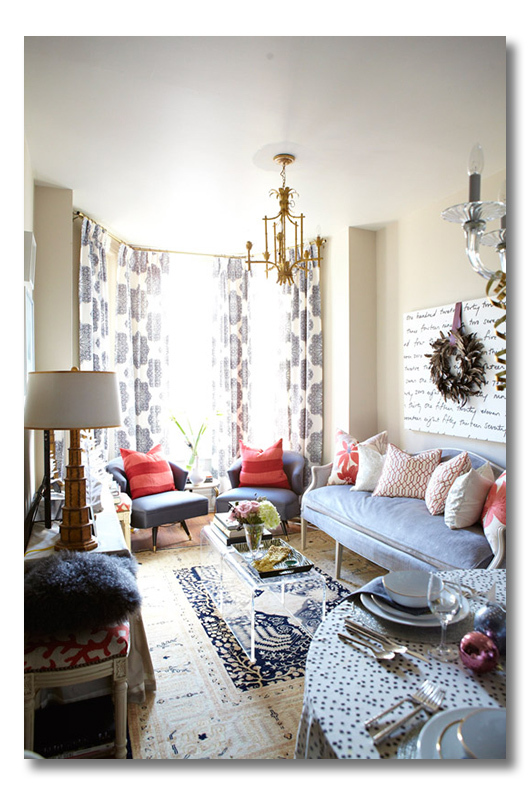 This week I thought I would focus on small living rooms. I know when I do move to Atlanta I will have a very small living room, and even though it will be small, I want it to be comfortable and stylish. This space is probably about the size my living room will be. I won't have that nice window space but it will have to be a dining and living room space combined, and I like how they have made use of the space. I love this couch and I especially love the size of it. It is definitely going on my wish list. 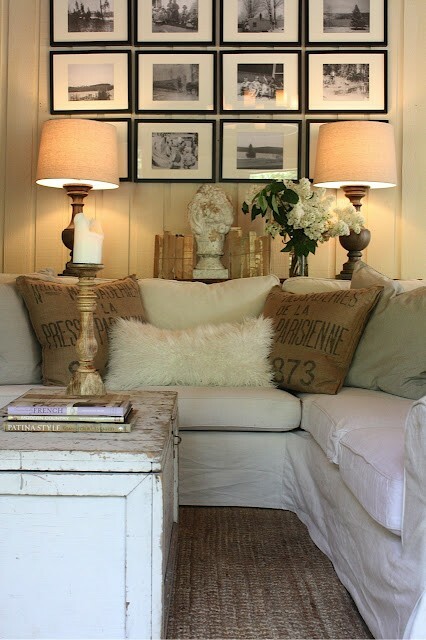 I love how they have used the space in front of the window in this living area. I really like looking out of the window so it might be fun to have the couch there as long as it doesn't block the light. I and my plants definitely need the light. This room looks so comfy and cozy. 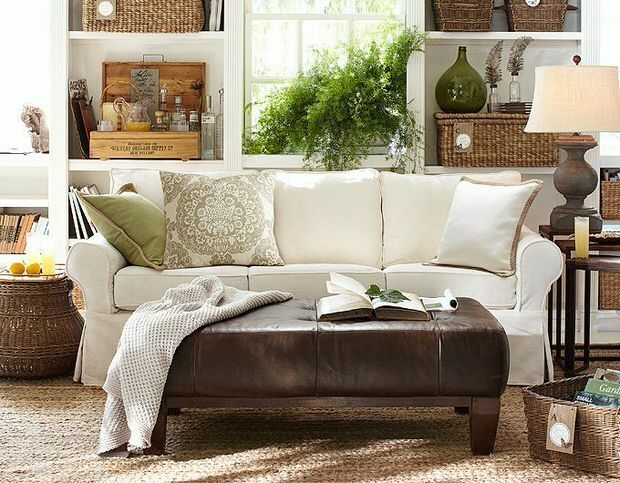 Love the built in shelves, the baskets, and the plants. I could move right in. 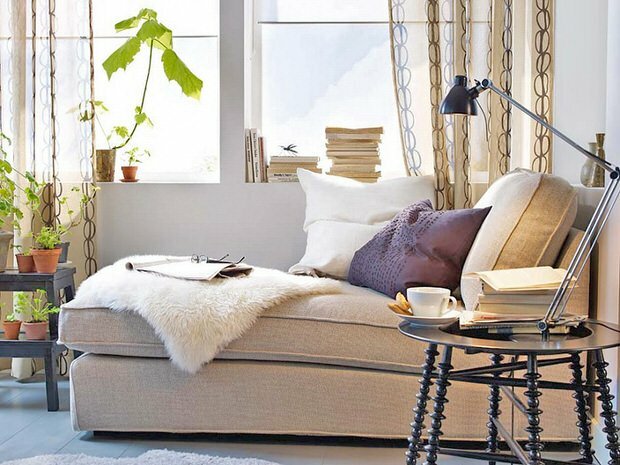 Many people who live in small spaces have decided to do away with a sofa and instead have a grouping of chairs. How do you feel about that. I kind of like a sofa for an occasional nap. This mirror is gorgeous and I love how it makes the room look larger by reflecting the light. This small space has done the opposite of the previous space. They have used a much larger sofa in their cozy space. hmmm!! I have already decided that I want a trunk for a coffee table. It will provide much needed storage space. I love this one. So many great ideas. Thank goodness I was able to start a Pinterest board for small space decor here. I hope everyone is having a great day. I went to an auction yesterday and their heat went out. It was 15 degrees outside. I thought I would never thaw out. I am off to another one tonight. Hopefully it will be nice and warm. Great photos, Laura! Enjoy your auction, and keep warm! Thanks, Pam. I am definitely a planner and dreamer. Enjoy your weekend. My living room/dining room is small and I do have a sofa. I wish I had a smaller one, but I thought this was what I wanted. It's good your doing a Pinterst board! Love the 2nd, 4th and last living rooms! happy weekend to you! Yep, I need the couch. I love hearing that the honeymoon isn't over. Good for you. Keep on snuggling, Gwen. The first sofa reminds me of my white one. Love those windows. It's fun planning ahead. You must be excited knowing you will be near those grandbabies. I am excited. Wish I could be there now, Debby. I like every one of the photos you showed us, Laura! I could live in any of them. I would, however, need a sofa so I can take a nap during a movie. :-) It is a fun time to look forward to, Laura. 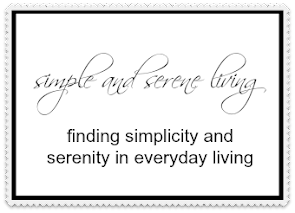 I love all of those inspiring pics you shared. I'm a sofa lover for naps too. In fact, I really like those L shaped sofas even better. We may get one for our next sofa (slipcovered of course). You will have fun setting up your new home once you move. I am looking forward to seeing what you do in your new space. So happy you are moving near your grandchildren. I love small rooms and making the most of the space. we've ditched our sofa. Friends prefer to sit on their own chairs, and when I'm felled by an afternoon nap I head for bed. 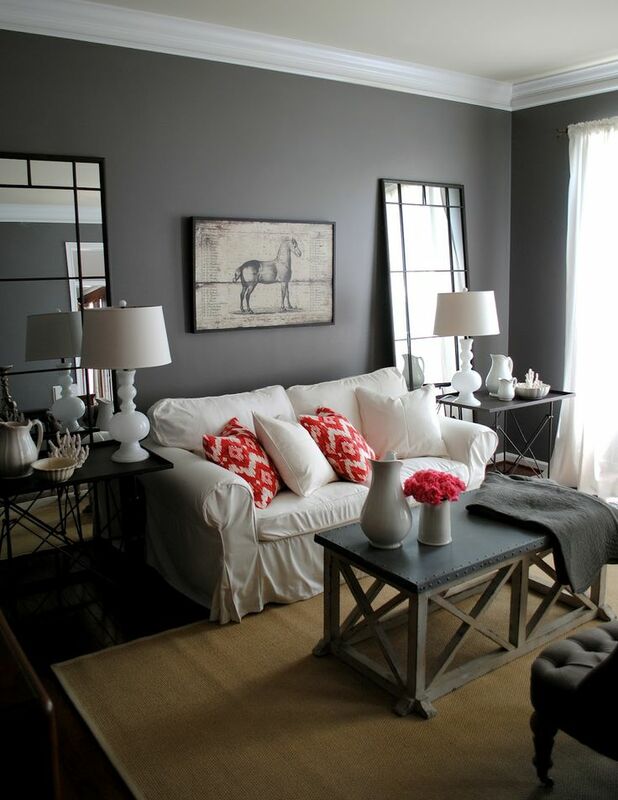 The large mirror if you have a view to enjoy is a wonderful idea to make your space larger.